The Red Sox defeated the Tigers 7-3 Monday night at Fenway Park. Clay Buchholz delivered his third straight outstanding performance going eight innings allowing three runs (two earned), on five hits while striking out four. Dustin Pedroia and Will Middlebrooks each hit two-run home runs supplying the Red Sox with all the offense they needed. Today at 4 p.m marks the Major League Baseball trade deadline and plenty of rumors surrounding the Red Sox have surfaced, particularly surrounding Josh Beckett. Teams reportedly interested in the right-hander are the Dodgers, Braves and Ranges, but many Red Sox insiders have downplayed those reports (Alex Speier gave a good run down of where things stood last night with the team on the trade front). Today should be more of the same with more rumors being thrown around, with most of them being just that, rumors. In the Twitter age no rumor goes unreported. It is very unlikely that the Red Sox will make a blockbuster move. If a move were to be made, it would be a minor one involving a current role player. Outfielder Ryan Sweeney, who has come up in trade talks, is unlikely to be dealt after punching a wall after grounding out last night. As always in this area and with this team, the trade deadline will be interesting. The Patriots were off on Monday, but return to the practice field today. For all the Patriots coverage, visit patriotslinks.com. Careful shopping needed in this market– Nick Cafardo looks at the Red Sox’ situation at today’s trade deadline and warns they need to be very careful in any deal they choose to make. Sox reality check arrives with trade deadline– Gerry Callahan says today’s deadline is a “defining” moment for general manager Ben Cherington and the Red Sox organization. Odds are against a Sox comeback, but it’s happened before– Tim Britton has although the numbers don’t look promising for the team to make the playoffs, it has happened before. Clay Buchholz has come a long way– John Tomase has a look at Buchholz’s season, and how there has been a drastic improvement since the first few months of the year. He’s only getting better– Alex Prewitt says Buchholz is now pitching like the ace of the Red Sox staff. Dustin Pedroia continues to pull team together– Joe McDonald has Pedroia leading the team both on and off the field of late, and keeping the team close with the trade deadline looming. He also notes Pedroia is getting hot at the plate at the right time. Pedroia backs up the talk with his bat– Maureen Mullen looks at the Red Sox’ second baseman and how his comments last Friday night may have fired both he and the team up. Besides some of the already low prices for this homestand’s series at Fenway, TiqIQ also has some great ScoreBIG/Make-An-Offer deals for the following games. These make an offer deals can’t be beat and tickets can sometimes be had for as low as $10, and you don’t have any pesky service or shipping fees to worry about. Just name your price and avoid all the hassles. Click here to sign up for for your own ScoreBig account and start saving today. 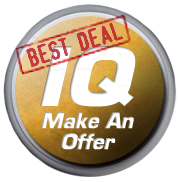 Click the Golden IQ to make an offer and get to Fenway for less! And to see our entire ticket inventory, click here. sox have won 3 straight!…5 more and they are right back in the race! I know you have to pay the bills Bruce but tacking that ad at the end today’s article just sad. There are other way to advertize that don’t intrude on your site’s content. Have you seen the major news sites that break up articles with ads? It’s an ad at the end of the post that is not from anybody covered in the links. I think the Sox should trade Matt Albers, Pedro Ciriaco, Scott Achison, and Kelly Shoppach for Felix Hernandez! Is the Adam Jones show/podcast over on ESPN Boston? Sounded like Mike Reiss was saying goodbye. 5. Thanking Adam and producer Drew Brooks for their work, as this was the final show. How was that show? Always meant to give it a try. Or maybe my work computer blocked ESPN Radio. Any link to a possible local over the air broadcast of ESPN Radio? The only other podcast I save my time for is what Doug Farrar @ Yahoo Sports (NFL blog) and Greg Cosell produce. If you’re an X/O guy (like you stay up to watch NFL Matchups at 3AM before gameday), the podcast is the _absolute best_. Even with the “everyone can see All-22” now, I doubt this will change. Farrar and Cosell are audio gold for any NFL/football fan.